"Joe ain’t afraid to be entertaining, in fact highly entertaining is what he is. 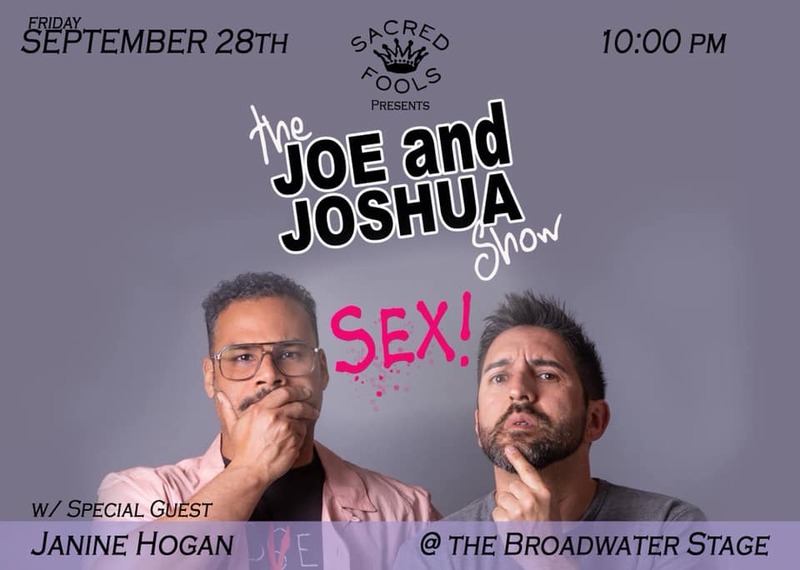 Joe, I’ve noticed, likes to take chances and push the audience close to the edge." Marc (So What!) Smith, Founder of the Slam Movement and Poetry Slam, Inc.
We all have those inner demons, right?? Only three performances left as part of our residency at Sacred Fools Theater! Come experience this exciting and intimate performance series that’s bound to provoke thought and make you laugh. 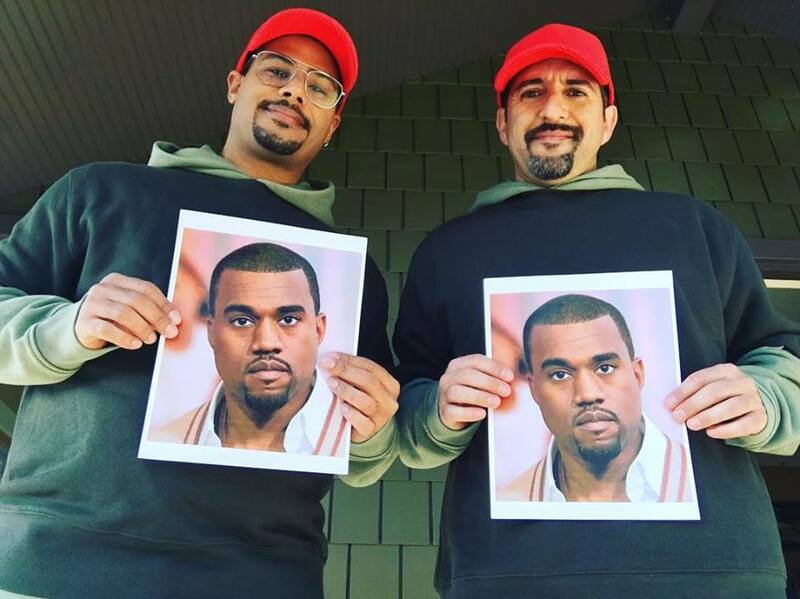 Are you a member of the "Church of Kanye?" I'm fortunate enough to be sitting on a sound stage right now, in the middle of shooting another video game (see pic below). 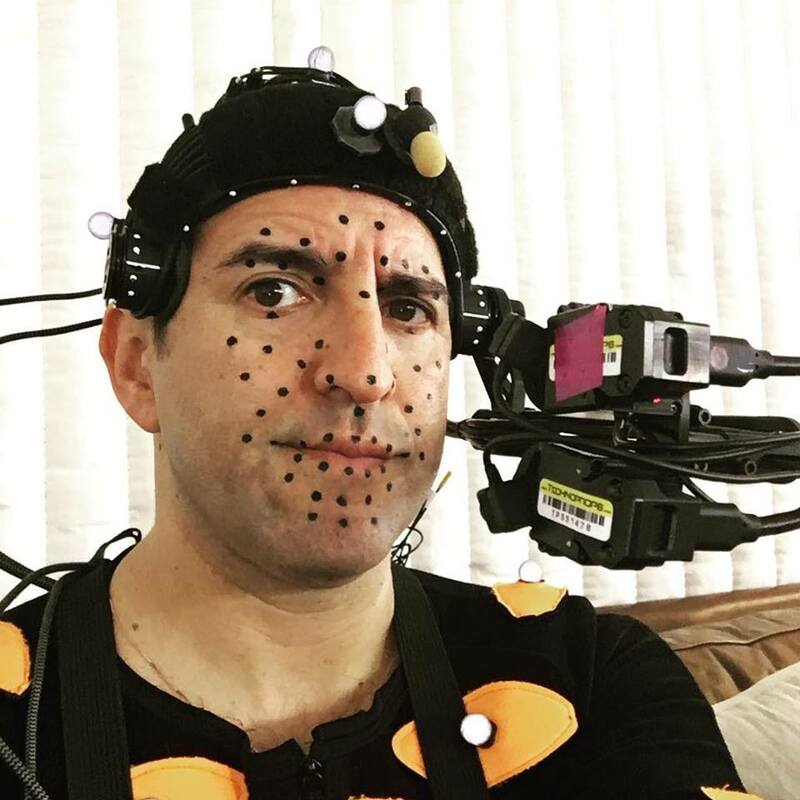 Performance capture is a lot of fun. They put you in a body suit with sensors, they put a ton of dots on your face and you're transformed into a different character in a whole different world. It requires a lot of patience as they put you into the suit, calibrate your range of motion, then draw each dot on your face (which always tickles me to the point that I wanna scratch but can't). But once you're done preparing, there's a lot of freedom. I'm still working at being comfortable in that freedom both on and off the stage. But I'm getting there! 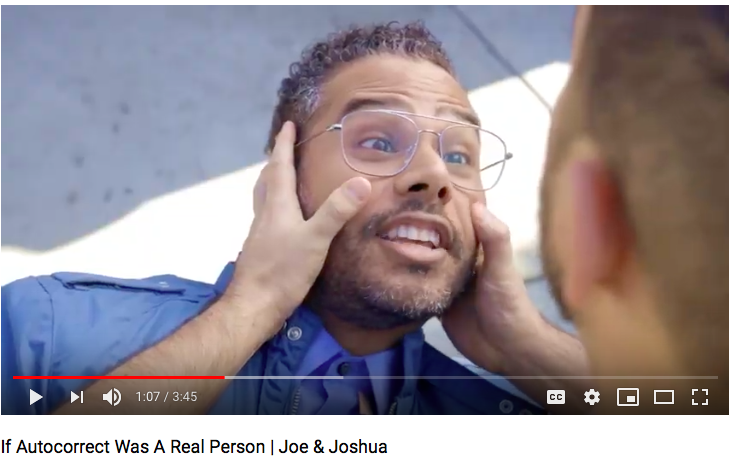 Joshua and I are working hard to push our own comfortability and embrace a freedom (on stage and on screen) that we've been developing for several years now. Here's our latest comedy short titled "Church of Kanye." And this Friday night, Joe & Joshua will be tackling the topic "MUSIC!" We've got an amazing musical special guest - Sean Kantrowitz. He will be creating music live with us! 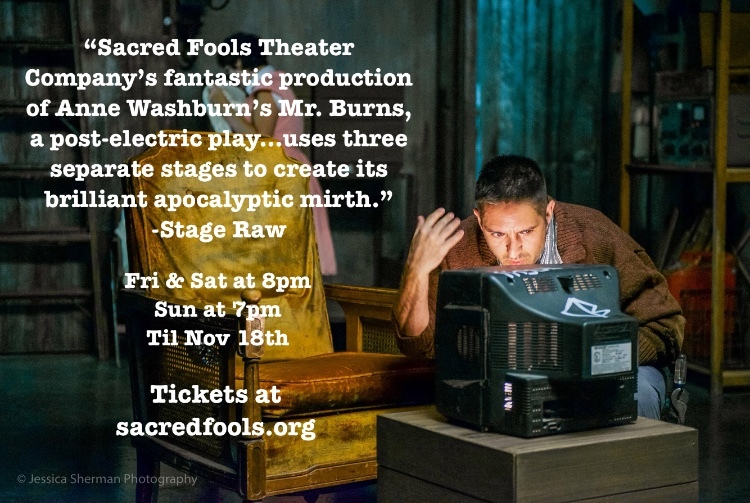 Please join us as we continue our residency at Sacred Fools Theater. A brand new show every month!! 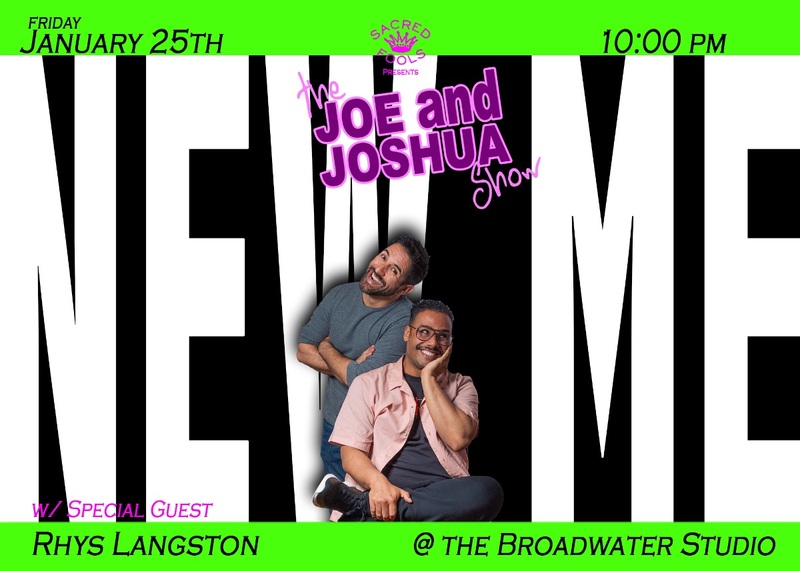 "If Autocorrect Was A Real Person"
And for the new year, this Friday night, Joe & Joshua will be tackling the topic "THE NEW ME!" Please join us as we continue our residency at Sacred Fools Theater. A brand new show every month!! We've got a great special guest - MC Rhys Langston! Rhys Langston is a writer and multidisciplinary artist who is definitely the Poet Laureate of his living room. He is a graduate of Wesleyan University, where he cut his teeth compiling oxford comma lists of comedic triplets, while learning the ways and language of technocrats, neoliberalism, and performative outrage. 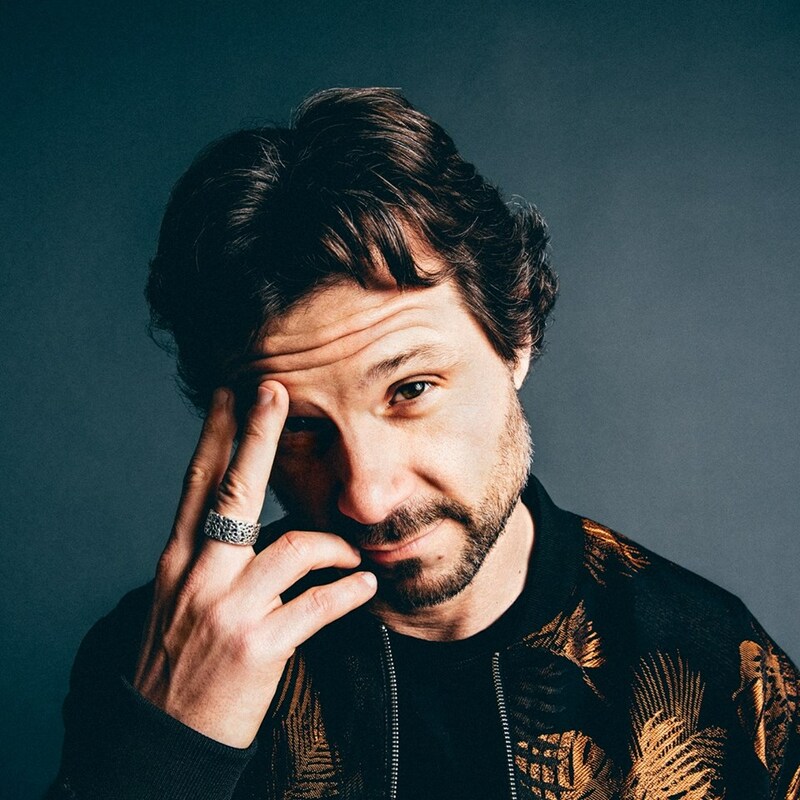 Since returning to his native Los Angeles in 2016, he has released two musical projects (his six and seventh, notably), and cultivated a petite hullabaloo in the rap and electronic music scene. 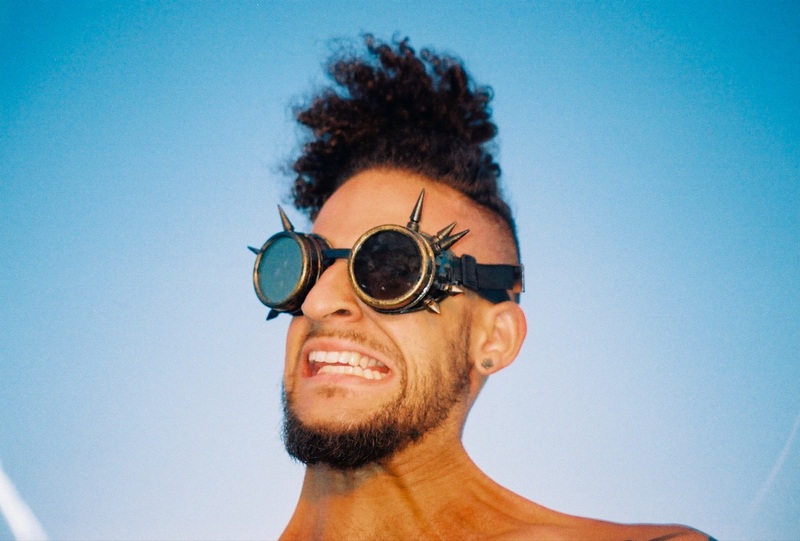 His live performances and recorded works are available in extra-high-definition and honesty (including verbose in select countries), and have earned the praises of LA Record Magazine, LA Weekly, and AFROPUNK. Unwavering, unpublished, and oft unintelligible, he is currently at work on a manuscript of indeterminate inflammability, a musical textbook, and various visual accouterments. Surely, he is on the rise (or run), and has a higher vertical leap than your favorite rapper. We are tackling FAMILY this FRIDAY! How was your Thanksgiving? 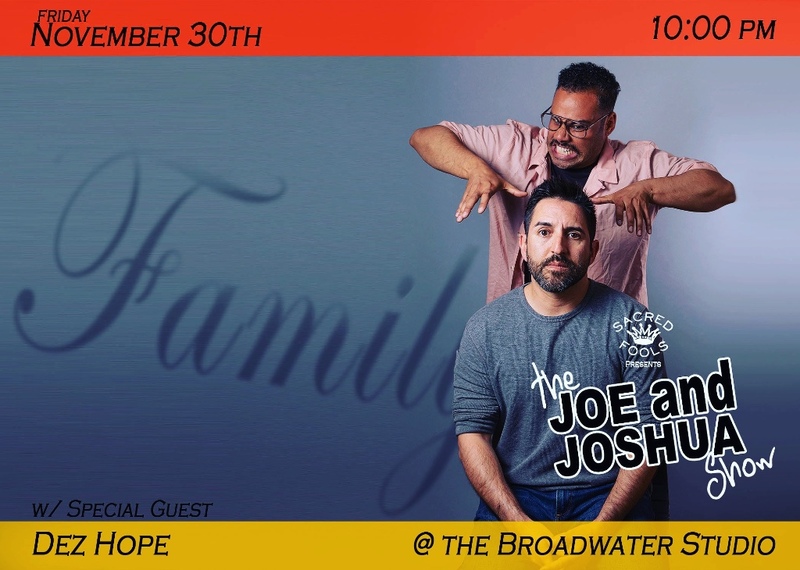 Ya wanna see Joe & Joshua address the topic of "FAMILY" this Friday night? Please join us as we continue our residency at Sacred Fools Theater. A brand new show every month!! 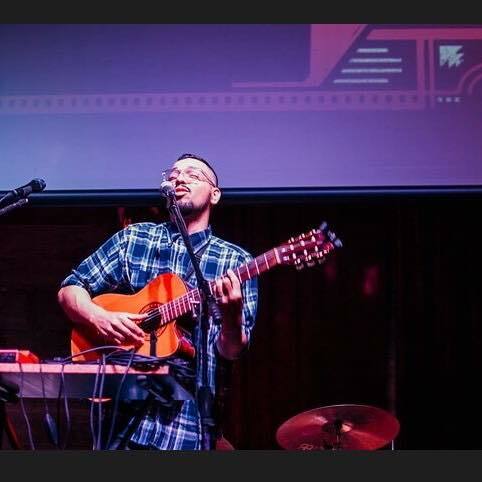 Singer, poet, guitarist, Los Angeles native, Dez Hope has been performing his unique brand of soulfully charged Acoustic-Hip Hop for over a decade. Dez is often referred to as the “Chicano Bob Dylan with Beats” and refers to his own music as "Folk-Hop". Through years of inspiring and exuberant performances, he has become one of the more revered and respected independent solo artists in Los Angeles. Though, he has mainly built his following through live shows, Dez has released one studio album, appropriately named “Life In Studio” which is available on all digital formats. If you are NOT in LA, you can see me this Saturday night on CBS' "Pink Collar Crimes" at 8/7c. Episode 6 "The Queen of Coupons." 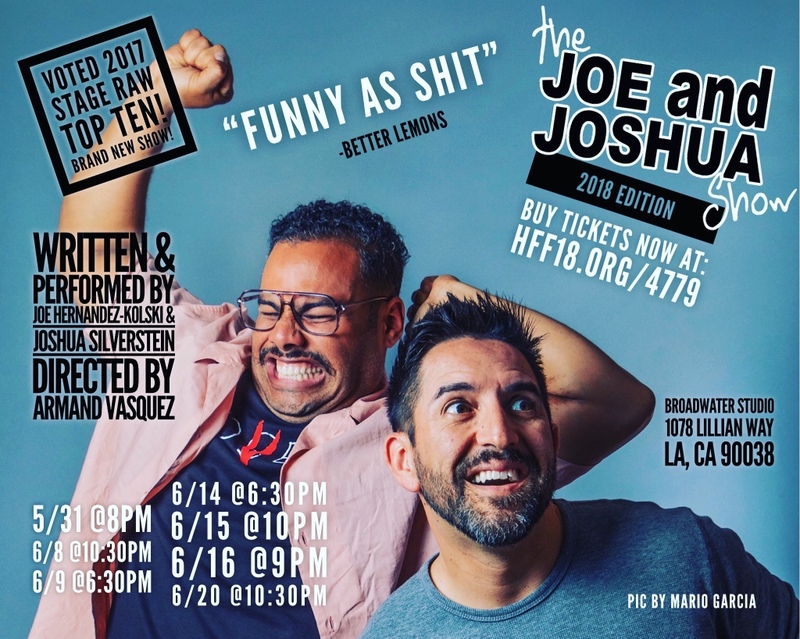 "Following the success of their Hollywood fringe shows, Sacred Fools Theater will be producing a late-night residency of 'The Joe & Joshua Show!' 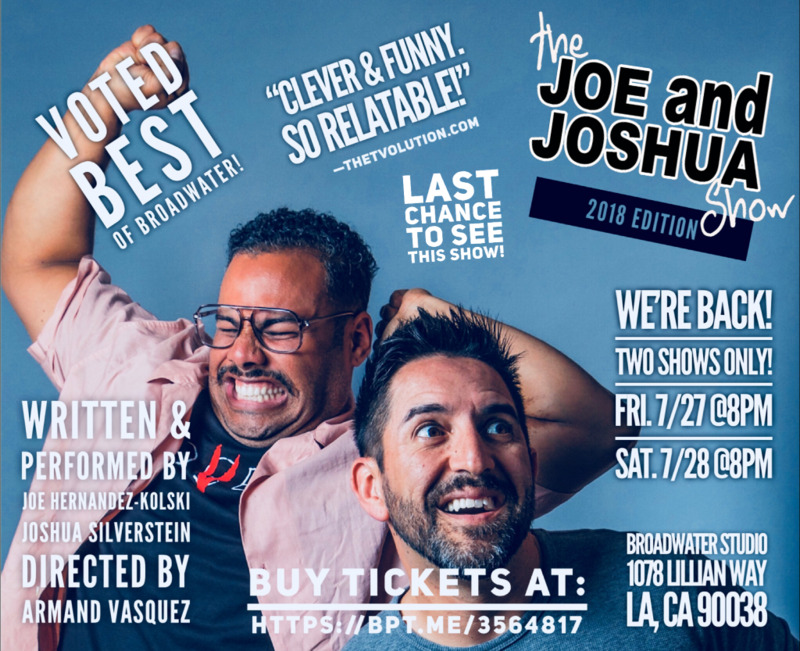 Every last Friday of the month at 11pm, comedy duo Joe Hernandez-Kolski & Joshua Silverstein will tackle a new topic with their brazen sense of comedy. 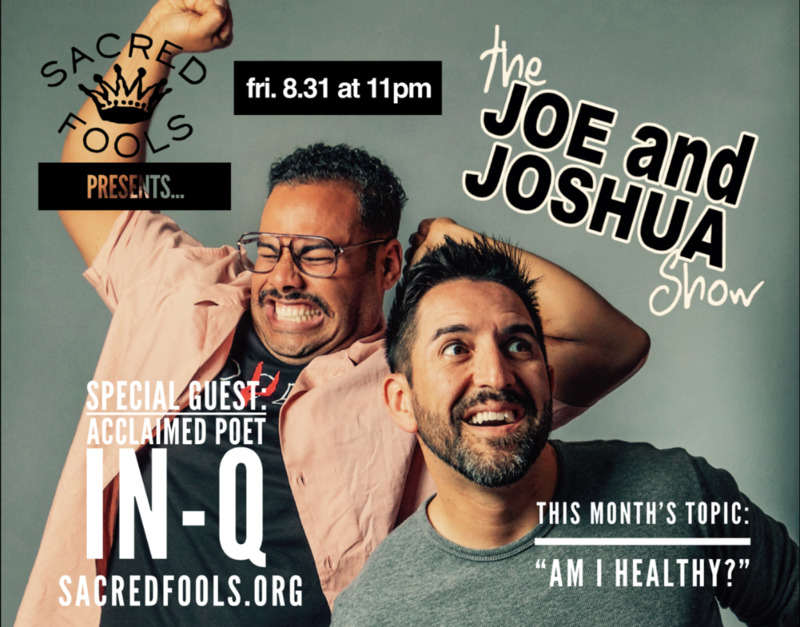 This month’s topic: “AM I HEALTHY?” With special guest: acclaimed poet In-Q. In-Q has vaulted to the national conversation on gun control and the election thanks to videos of his spoken word pieces going viral. Come experience this exciting and intimate performance series that’s bound to provoke thought and make you laugh." IN-Q is a National Poetry Slam Champion and multi-platinum winning songwriter. His groundbreaking performances include selling out the largest one-man poetry show in Los Angeles history, being the first spoken word artist to perform with Cirque Du Soleil, and being featured on HBO's Def Poetry Jam and ESPN’s World Series of Poker. 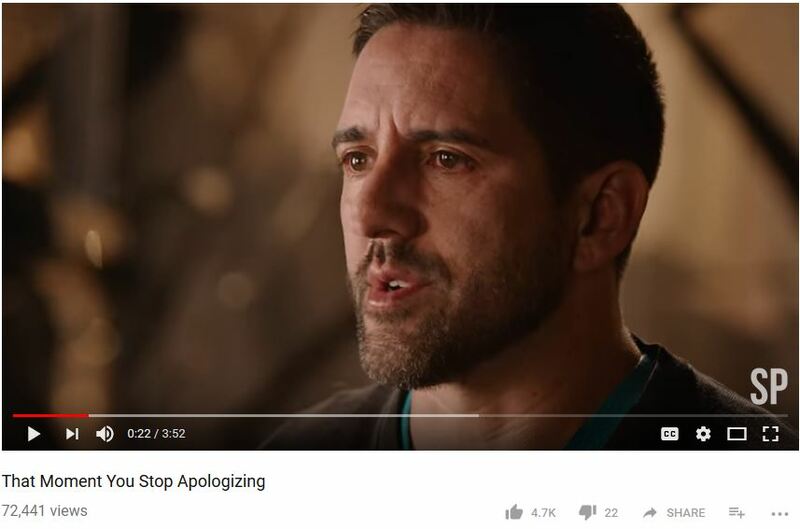 His newest video "The Only Reason We're Alive" went viral shortly after it was released and just passed two million views online. As a songwriter, IN-Q’s hit single “Love You Like a Love Song” by Selena Gomez went multi-platinum, winning him a BMI award. He has also written with renowned artists including Aloe Blacc, Miley Cyrus, Mike Posner and Foster the People. In 2014, he co-wrote the Official Coca Cola FIFA World Cup Anthem and was most recently featured on Good Life, from ZHU's new album Generation Why. Leading organizations including Instagram, Nike, Spotify, Lululemon, Shazam, The Grammy Foundation and many more have brought IN-Q in to lead storytelling workshops and motivate their teams through his performance. Ultimately IN-Q writes to entertain, inspire, and challenge his audiences to look deeper into the human experience and ask questions about themselves, their environment, and the world at large. "Falling out of my chair laughing!" 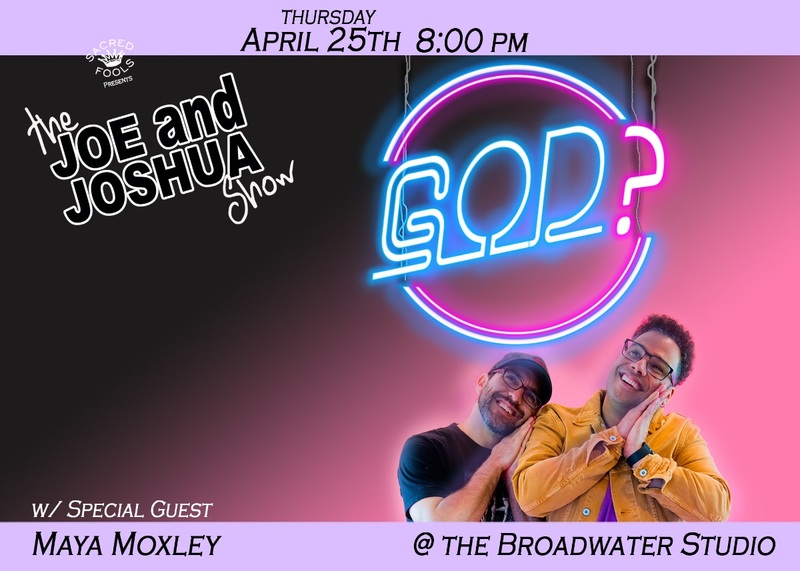 Come join us for the premiere of a brand new show! 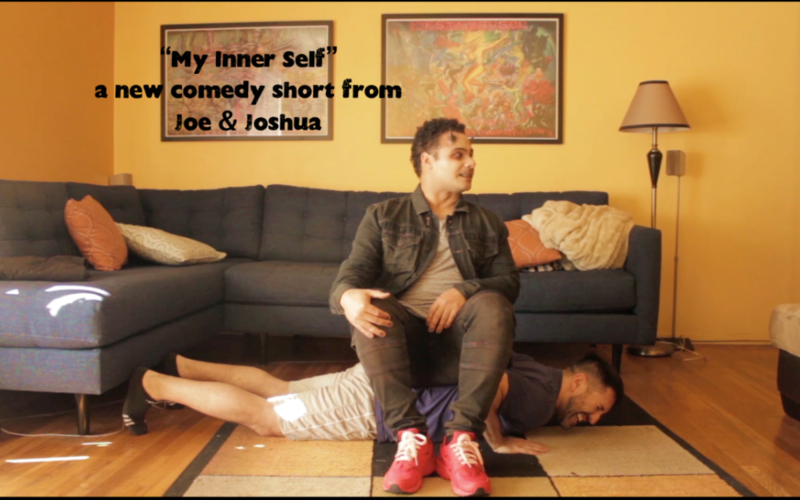 Joe & Joshua opened the latest episode of "The Joe & Joshua Show!" at the Hollywood Fringe Festival! This is our fifth show together! We are subtitling the latest episode "We're doing the best we can." Come watch us grapple with our current state of politics, technology and crabbiness. Only four performances left! Buy your tickets NOW cuz this show will sell out. Not cuz we’re popular or anything, it’s just a really small theater space. 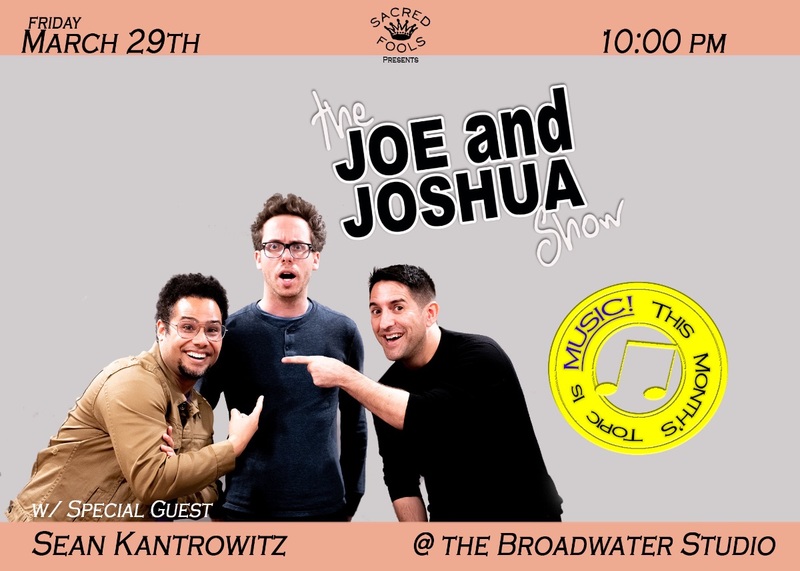 Joe & Joshua are premiering the latest episode of "The Joe & Joshua Show!" at the Hollywood Fringe Festival! This will be our fifth show together! We are subtitling the latest episode "We're doing the best we can." Come watch us grapple with our current state of politics, technology and crabbiness. Only seven performances! I'm proud of this li'l 4min video! 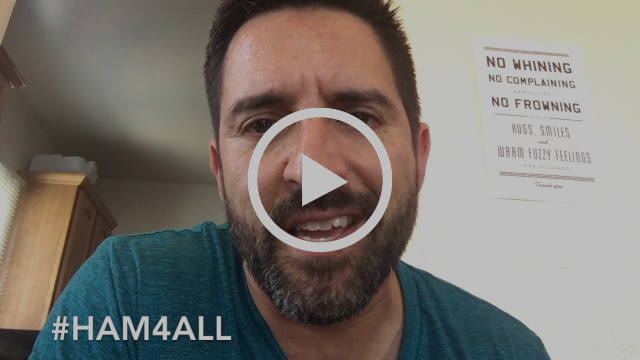 WATCH THE VIDEO NOW BY CLICKING HERE! 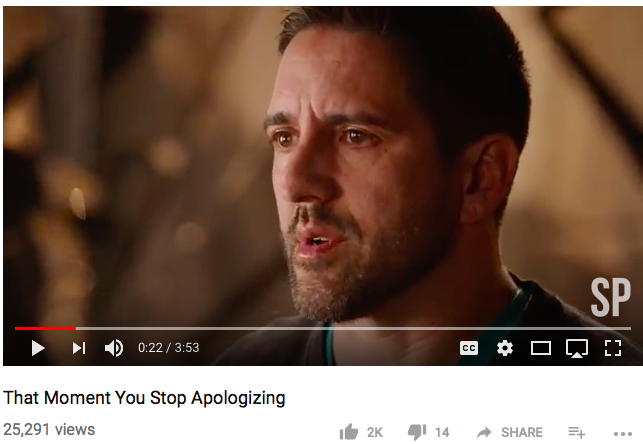 Thanks to co-producers Nick P. Ross and my dear friend Nikki Boyer, I shot a piece for Soul Pancake titled "That Moment You Stop Apologizing." I'd love for you to watch this 4min video. I've been very moved by the response that it's received online. Over the years, I have learned to NEVER read the comments on a YouTube page but these have been GREAT! I also have some great shows coming up this month that are listed below! Feb 13th - The Fireside Edition of Downbeat 720 - For over sixteen years, we've been holding it down, creating a safe & supportive space for high school performers. For once, we're opening it up to the public! Come join us and enjoy some performances from some very talented high school performers! Feb 22nd - Free Reading of Leigh Curran's Play "Body Beautiful" - A play about love, aging, loyalty and gender confusion. New comedy for a new year! A mix of comedy and music this Friday night! CLICK HERE TO BUY TICKETS FOR FRIDAY'S SHOW! Click on the pic below to watch this fun video that we made as an ode to the trailer for the new Justin Timberlake album! 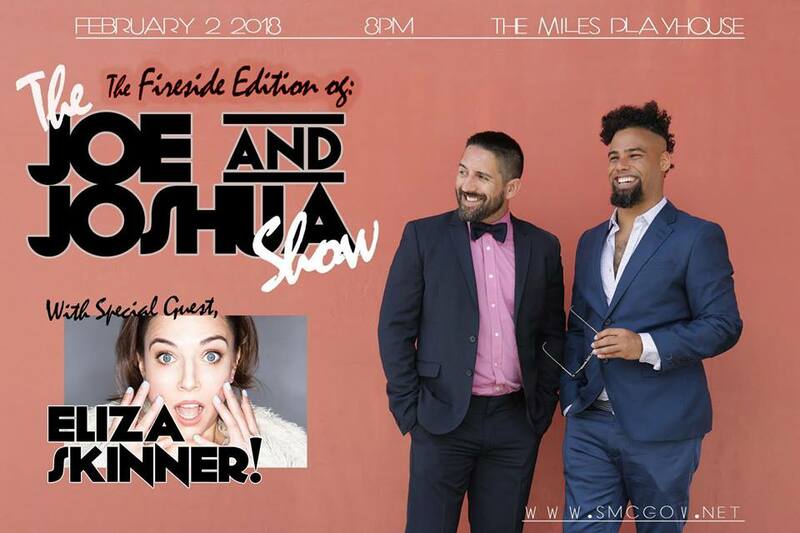 Join us for a special comedy event as part of the 9th Annual Fireside at the Miles series. 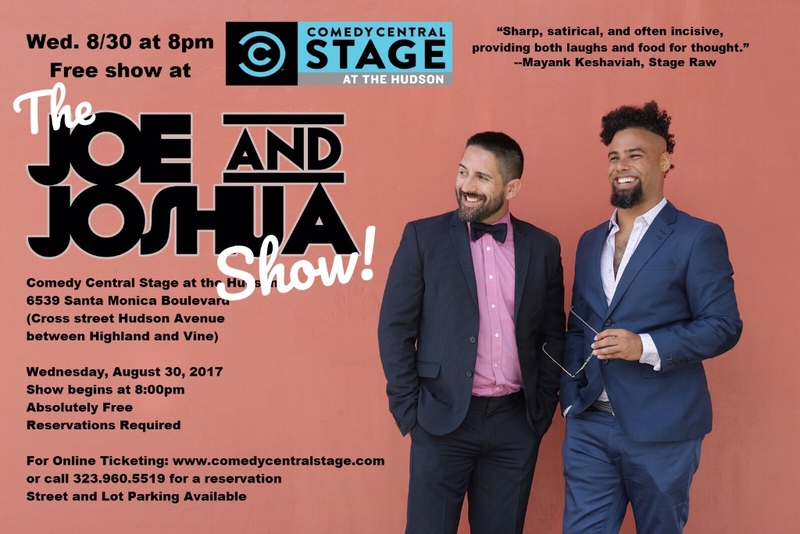 Come see why Stage Raw said The Joe & Joshua Show is "sharp, satirical, and often incisive, providing both laughs and food for thought." 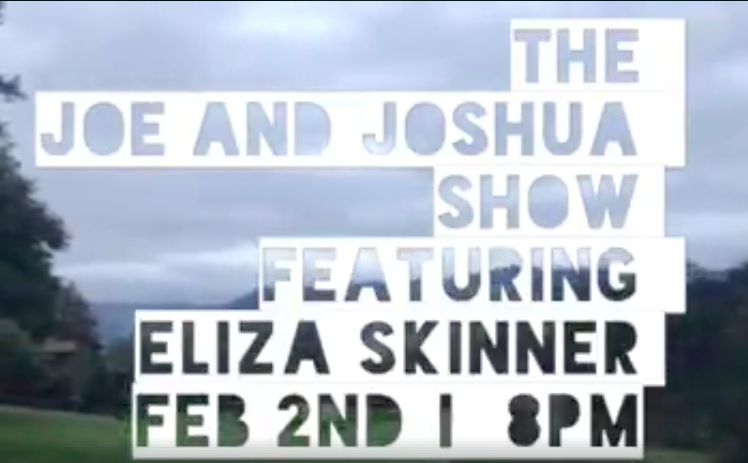 Featuring musical, improv, comedy magic from Special Guest Eliza Skinner! Come early and grab some tea or coffee and enjoy the fireplace. Eliza is a stand-up comedian who has appeared on The Pete Holmes Show, @Midnight, Chelsea Lately, Upload with Shaquille O’Neal, MTV, Showtime, AMC and the BBC. She has performed in festivals all over the world including RiotLA, SXSW, Bridgetown, the NY Comedy Festival and the Edinburgh Fringe. In his Reddit AMA, Patton Oswalt called her one of his favorite up-and-coming comedians. Eliza was a writer and correspondent on Totally Biased (produced by Chris Rock), Fashion Police (with Joan Rivers), Adam Ruins Everything (truTV) and The Late Late Show with James Corden. In 2014, she was selected to be one of the “New Faces Of Comedy” at the Montreal Just For Laughs Festival. 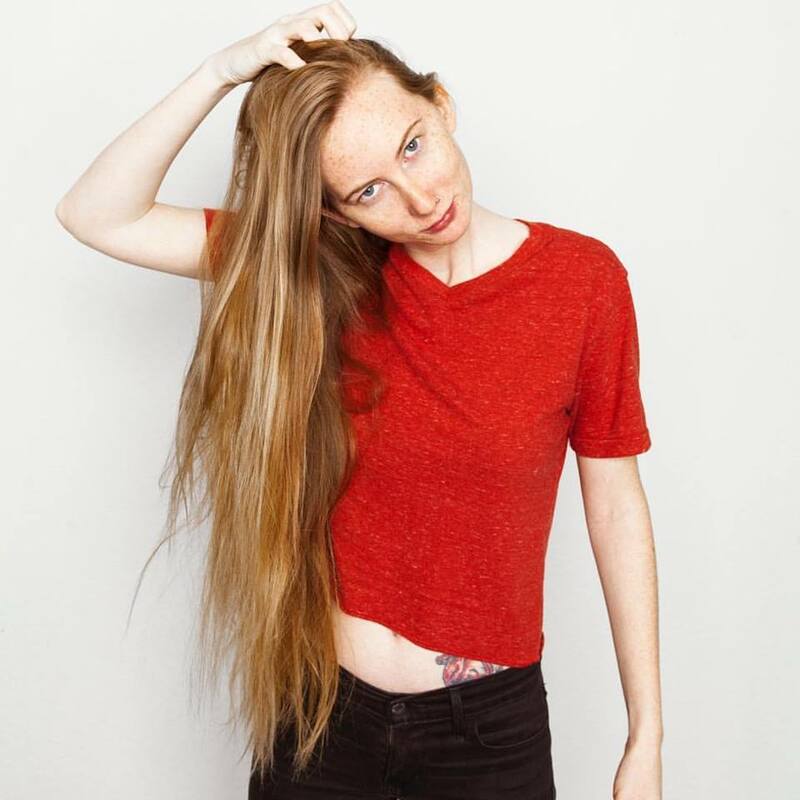 In 2015 she was selected for the “SF Sketchfest Dozen” and TimeOut LA named her one of 9 “Comics To Watch in 2015″. She's one of our favorite comics! She headlined our comedy night a few years ago and we're excited to have her back at the Miles! Feb 22nd - Reading of Leigh Curran's Play "Body Beautiful"
A captivating play that involves THE SIMPSONS?? Calling all SIMPSONS FANS! Come out this weekend!! "When was the last time you met a new play that was so smart it made your head spin?" 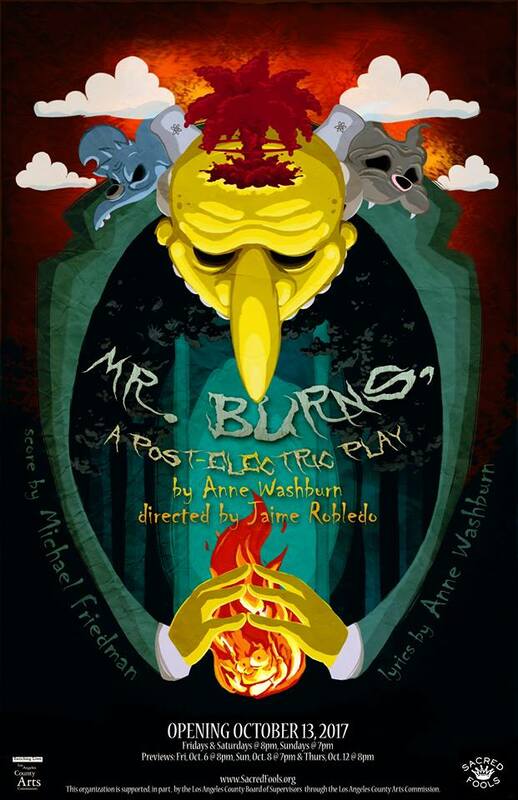 I am very proud to be a part of the LA premiere of Anne Washburn's "Mr. Burns, a post-electric play," happening at Sacred Fools Theater right now! Yes, if you're a fan of "The Simpsons," you'll love a lot about this show! Take a look at some of the amazing press that we've been getting! All of the details are below. Buy tickets now cuz the show is selling out! See you in LA at "Mr. Burns" or in Portland or Chicago SOON! LOS ANGELES PREMIERE! After the collapse of civilization, a group of survivors keep the spark of human spirit alive by telling stories around a campfire. As the years wear on, these stories expand into the realm of legend and myth. At turns sidesplitting and bone-chilling, Mr. Burns also features an unusual approach for the Fools: each act will be staged in a different theater space in the Broadwater complex, transporting the audience as we search for the light. Performing in the Broadwater Black Box, Second Stage, and Mainstage. Joshua and I are coming for ya on Nov 11th! Wait...a FREE show at the Comedy Central Stage?? Come see us on Wednesday, August 30th! "WOW!!! HILARIOUS!! Seriously, so so funny, so much energy, wit, and intelligence. I laughed, I cried, I met some awesome people!" I think our friend Dufflyn gives the most accurate review of one of our shows. We do our best to reveal both the funny and the sad and, yes, you're bound to meet some awesome people! We're proud of the community that we continue to cultivate and, these days, community is very important. So come out and laugh on August 30th at the Comedy Central Stage! We've been invited to do a FREE performance! You must RSVP by clicking here! 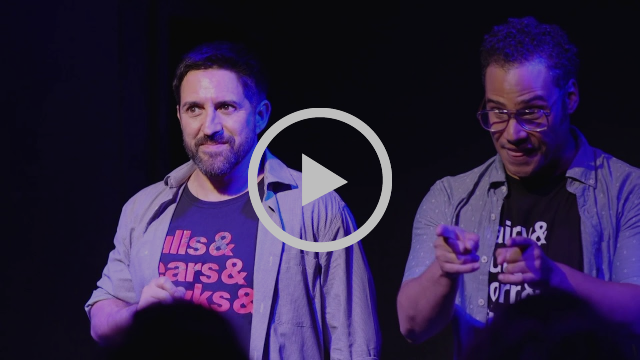 Come see why reviews say things like "electrifying" and "the real deal" and "a masterful mixture of comedy and spoken word." Here's something you can watch right now! 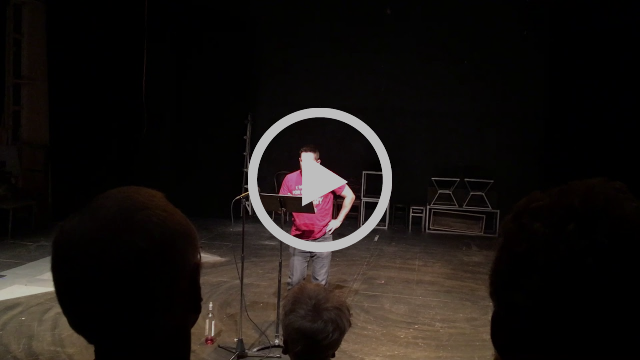 My recent performance at "Rant & Rave," a monthly storytelling event. Wanna see me dance with an Olympic gold medalist?? I'm performing in New York City this Sunday! 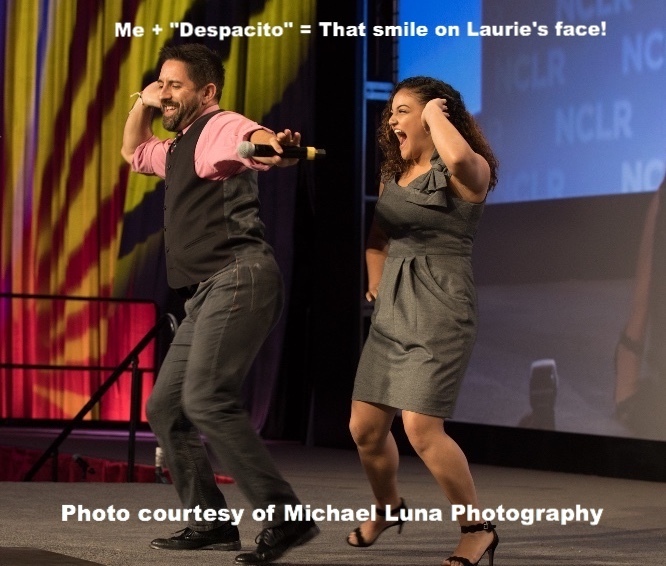 I had a BLAST hosting the annual millennial breakfast at this year's National Council of La Raza annual conference (now Unidos US). Click here or on the pic above to watch the fun dance routine that Olympic gold-medalist Laurie Hernandez and I came up with to surprise the audience! 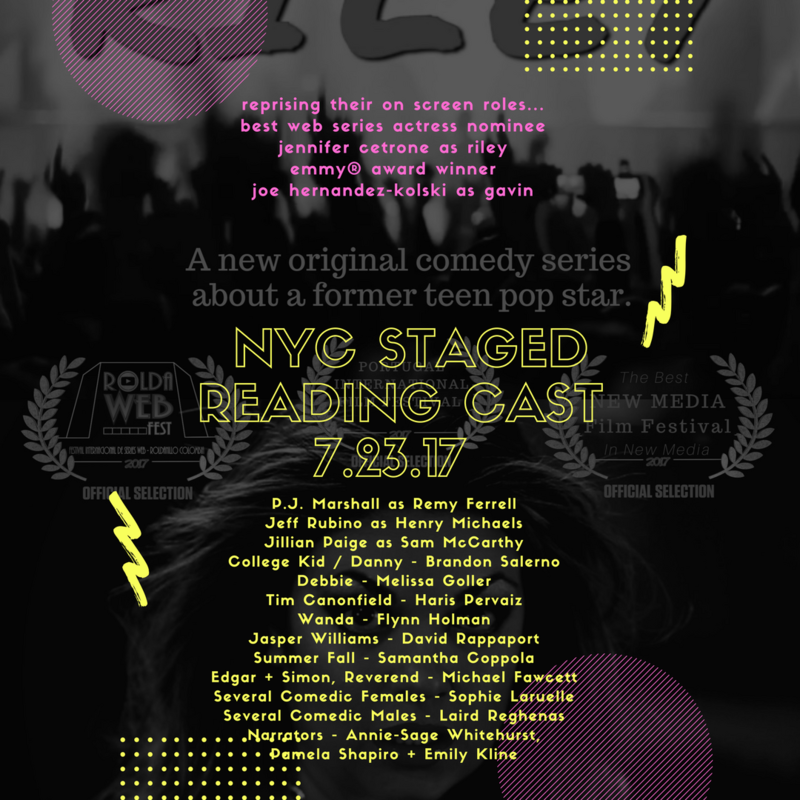 "Riley" The Staged Readings - Live in NYC this Sunday at 1pm or 6pm! I love this web series. Not only do I have a fun character (the cheesy boss Gavin) but it's an award-winning series that's almost all-female led, both in front of and behind the camera. Click here for more details and how to buy tickets! Thanks to lead actress/producer Jennifer Cetrone for getting me involved! 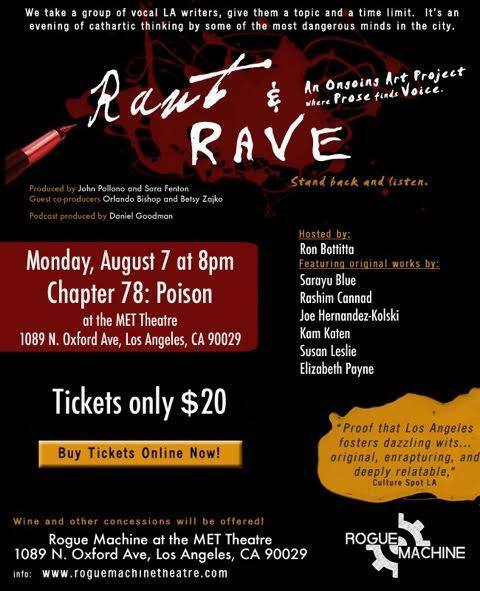 Monday, August 7th at 8pm, I will be performing at Rant & Rave, a long-running storytelling series. This is ALWAYS a great event. Thanks to performer/guest curator Orlando Bishop for getting me involved! And here's my #Ham4All submission! Enjoy, all of you crazy Hamilton fans! !